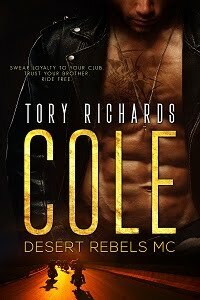 TORY RICHARDS: Two More Days! Hey my friends! The blog tour for The Promise is almost over! Below is the schedule. Each blog will have a different post or interview from me. And as you can see there's a prize involved! So be sure and leave your comments. I will be giving away a $15 gift card to Bath and Body to one randomly drawn commenter and to the host with the most comments, not counting my or the host's own comments. You know Tory - you're always welcome at the AuthorIsland Tiki Hut Blog too! I love following vitural blog tours - I learn a lot and have so much fun. Will try to keep up with you!!! Thank you for the reminder DeNita! Hi Val! Great to see anyone from Author Island here. Tory, I am new to everything "you", but really want to read your books, I haven't been able to find any in print. I don't have any sort of "e-reader", can I purchase anywhere in a pdf? Hey Jenn, I have a few books in print and all are offered in pdf. Go to my website at toryrichards.com and on the bookshelf page click on the book you're interested in. From there it will take you to the book page where there's a buy now link.